" To exemplify the actions and beliefs of gardeners attempting to cultivate plants outside of their natural range." With changing weather patterns, many gardeners are finding success growing plants outside of their "Zone". This site's intent is to provide links and information to those who wish to explore the limits of plant hardiness and micro climates. Know of a site or article that will be of help to other gardeners? Please send us a link! Growing On The Edge Forum All aspects of gardening in varied climates. Cycad Forum Global Cycad Enthusiast Forum. European Palm Society European Palm Society Forums. Pennsylvania Hardy Palms Pennsylvania Hardy Palms, Bananas, and more! The Wise Gardener The Wise Gardener Forum. Inland SC Palms Inland SC Palm Board. Tropicsphere Discussing All Things Tropical! Virginia Palm Society Virginia Palm Society Board. DC Tropics Hardy Palms and Tropical plants in the Washington, DC area. Citrus North Citrus, Palms, Cycads, and Tropical discussion. Scandanavia Palm Board Growing Palms in Scandanavia! Hardy Tropicals Hardy Tropicals UK discussion board. TriCities NorthWest inland Palms & Tropicals. Palms North Growing Palms, Cycads and Desert Plants in Northern Climates. Zone 6 Tropicals Zone 6 Tropicalesque Gardening. Gardener Forum A focus on South African Plants. Cactus North Forum Hardy Cactus, Yuccas and Agave. Hardy Palm & Subtropicals Hardy Palm and Subtropicals Board. PACSOWA Forum Palm and Cycad Society of Western Australia Message Board. So. Hemi. Plants in Northern Gardens Cultivating Southern Hemisphere Plants. Citrus Growers Board Indoor/Outdoor Citrus Growers Board. Plants World Gardening and More! Garden Forums The Garden Forums. Hardy Palms and More for the NorthEast Hardy Palms and More. Hardy Palms in Temperate Zones Hardy Palm Discussion. Temperate - Zone Desert Garden Temperate Zone Desert Garden Board. YuccaYucca Board Yuccas, Tropicals and Desert Plants. Northwest Palms Board Northwest Palms Discussion Board. Cloudforest Cafe Subtropical Discussion Board. Tonys Tropical Corner Tony's Tropical Corner & Discussion Board. Palm Tree Paradise Palm Tree Paradise Board. The Palm Centre Palm Centre Forum. Canadian Gardening Canadian Gardening Forum. Cycad Bulletin The Cycad Bulletin Board. Plant Maps Interactive USDA Plant Hardiness Zone Map. Plant Maps UK Interactive UK/Ireleand Hardiness Zone Map. Physical Properties of Container Media Selecting a proper container medium. Plant Families Database Cycad and Palm Family Database - Bananas and others being added! UK Hardiness Zones Plant Hardiness Zone Map of the British Isles. Canadian Hardiness Map Canadian Plant Hardiness Map. Climate Change News Feed. Compilation of News Articles. 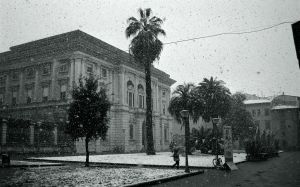 Cold-Rating Data Base - Minimum temperatures for palms, cycads, bananas and other tropical plants. Soil Temperature Maps Soil Temperature Maps. Cool Tropix - Growing cold hardy palms, cycads, & tropicals. Seed Germination Database A Reference for a large variety of species. Palm Seed Germination A Guide for Germinating Palm Seed. Photo Gallery Palm and Cycad ~ Seed & Seedling photos! Coffee grounds to control and eradicate Cycad Aulacaspis scale. By Tom Broome. 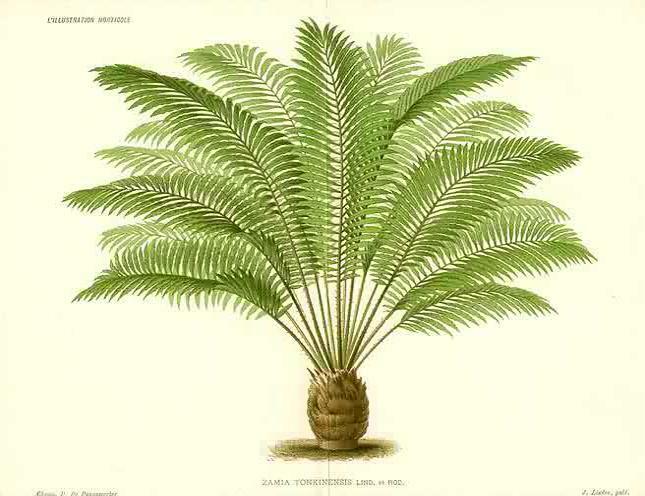 The Cycad Pages Cycad Identification and Info. PASCONZ Palm and Cycad Society of New Zealand. S.A. Cycad Society Cycad Society of South Africa. Global Cycad Forum The Global Cycad Enthusiast Forum. Cycad Jungle Tom Broomes' Articles On Cycad Culture. Cycad Special Fertilizer Fertilizer Formulated for Cycads. Agricultural Building and Equipment Plan List Greenhouse and Agricultural Building Plans. Solar Greenhouses Solar Greenhouse Design and Info. PVC Plans Plans For PVC Framed Greenhouses and Cold Frames. OnLine Library Articles and Books stored on this server. EUNOPS European Network of Palm Scientists. Seedling Gallery Palm and Cycad seed/seedling photos. Adjacent and Remote Germination Differences in Palm seed germination. EUNOPS Glossary Glossary of Palm Terms. Polar Palm Palace Dedicated to South Carolina Palm Tree Gardeners. Why Not Palms ? Cold Hardy Palm Handbook by Mike Papay. Palm Articles and Germination Info. Some Misc. Articles. Introducing Aquatic Palms Some nice alternatives for those of us with ponds. Canadian Zones Canadian Plant Hardiness Map. New Zealand Palm and Cycad Society New Zealand Plant Hardiness Zones. Climate Prediction Center NOAA Long Range Climate Prediction Center. Canadian Weather Service Canadian Weather Service. US Drought Monitor US Drought Monitor. World Meteorological Organization Worldwide Severe Weather Monitor. Oasis Designs Winter Protection Information and Technique. Cold Protection Designs Constructing Winter Shelters. Cold Protection of Ornamental Plants Article from The University of Florida. Some Winter Protection Photos. Various Implementations. Trebrown Nurseries Supplying Seeds & Plants to the UK and Worldwide. Ortanique Palm, Cycad and Tropical Seeds. Rare Palm Seeds Large Selection of Tropical and Cold Hardy Seeds. FNGLA Seed Auctions FNGLA Seed Auctions. Majestic Landscaping & Palms South Carolina Nursery, also offering 15 gallon + Sizes. Evergreen Nursery San Diego,CA Wholesale/Public Nursery. Jurassic Plants Nursery Canadian Specialty Nursery Growing Hardy Cycads. Corolla Tropicals Canadian Nursery supplying Cold Hardy Palms and Tropicals. Trebrown Nurseries Supplying Plants & Seeds Worldwide. Thimble Farms British Columbia based Nursery. Tropic To Tropic Plants Canadian Based Nursery. Broadway Gardens Canadian Based Nursery - Hardy Tropicals. Desert NorthWest Rare Plants & Seeds WA, USA Based Nursery. YuccaDo Nursery Hardy Drought and Heat Tolerant Plants.